Our first two trips finished up last Saturday. After we saw most everyone off, Kristi and I headed for Ravenna. 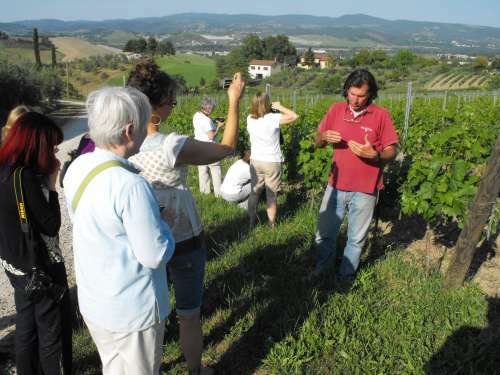 Back now in Orvieto, waiting for the next group’s arrival, I have time to post some pictures from the first week. DJ Pettitt and Heidi Darr-Hope led our learning workshops. Two more dedicated, enthusiastic teachers can not be found. They each led their group on very different journeys of discovery. 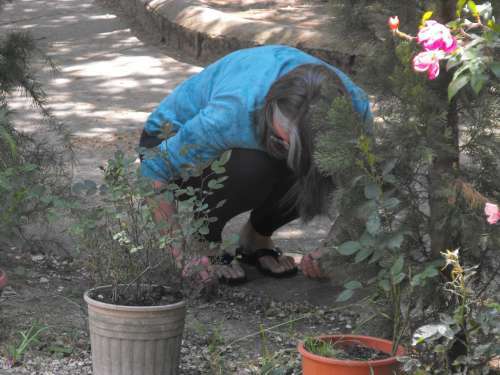 Heidi led her group in some very reflective exercises with participants each creating a personal mandala. 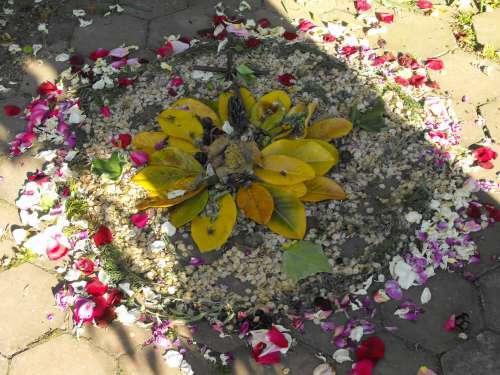 Wonderfully, the group made a Mandala for all of the rest of us to share in the garden. This beautiful piece of work emerged during the week as they added to it. It was truly a gift. 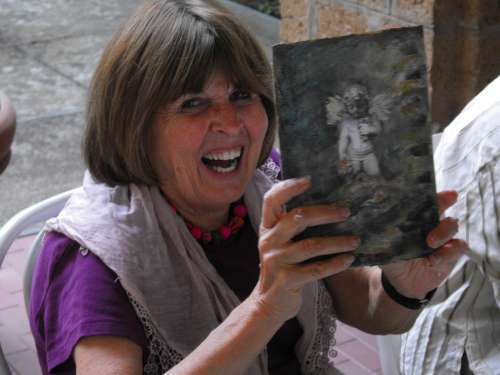 DJ had her group creating the most sublime fabric journals that incorporated photographs that she guided them in painting and texturing and embellishing into works of art. 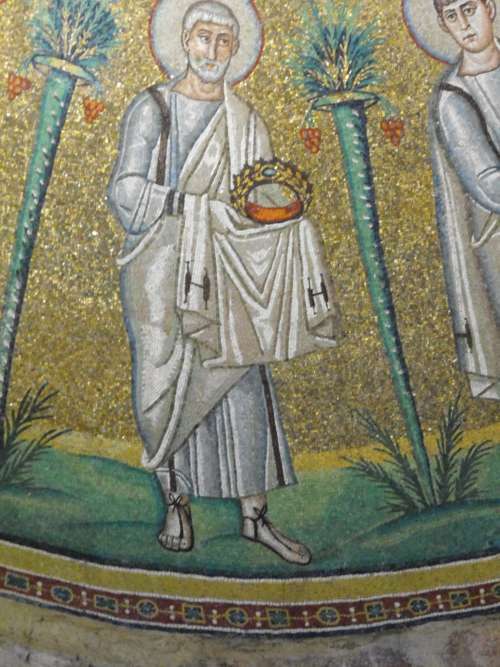 Bits and pieces from Orvieto became part of the journals. 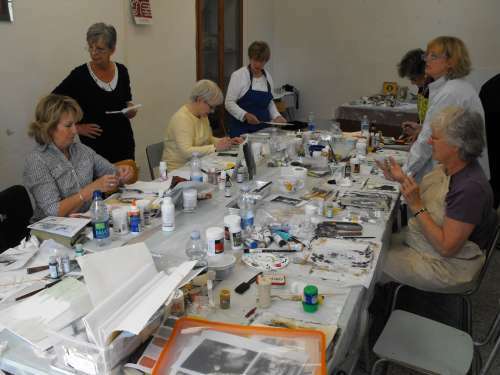 The variety of the finished works were as individual and beautiful as the people creating them. Here is a small sampling of what the week held. 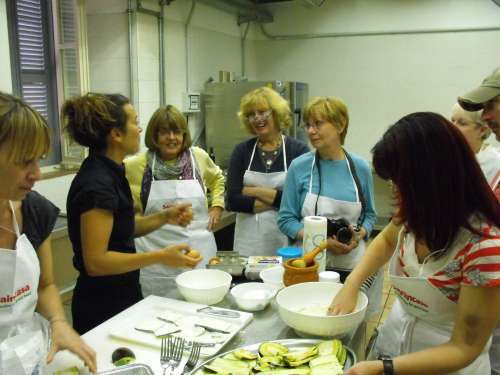 We always like to get with a local chef and cook. It is such fun and we learn so much. 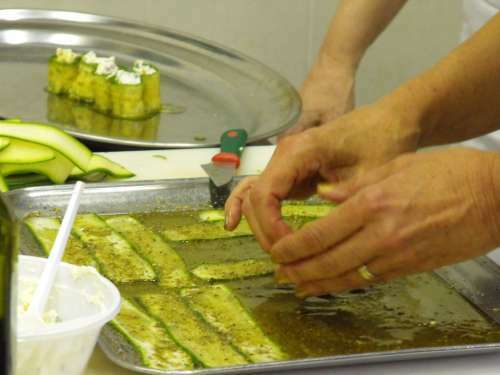 We made several appetizers, eggplant parmigiana, our own tomato sauce, and a divine panna cotta. 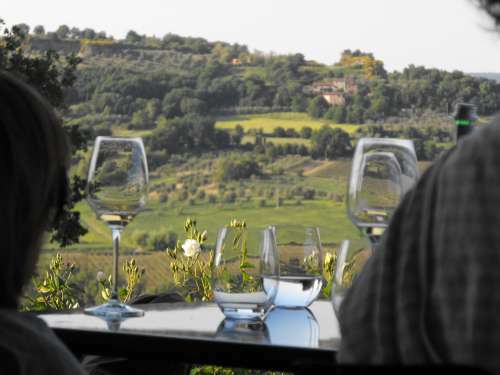 We also have our favorite vineyard to visit to learn about wine making and to taste fabulous wines as we gaze back to Orvieto perched on its rock. It is a beautiful place! Sometimes the beauty just gets to you!! Some of us took a visit to one of the few remaining farms where they still make cheese by hand. 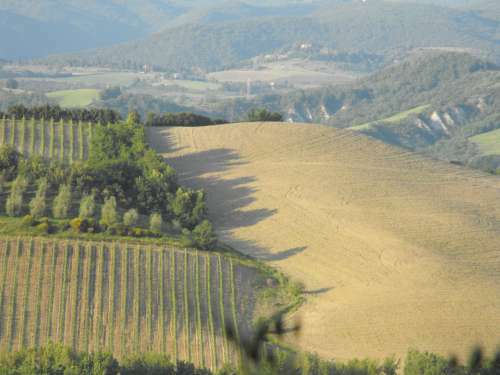 Pecorino cheese is made from sheep milk and Danilo and Francesco make some delightful cheeses. 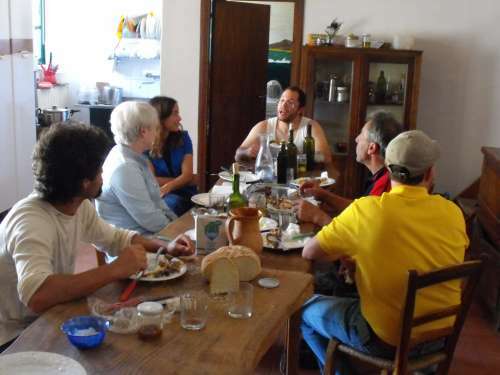 We had lunch with them sampling several cheeses with honeys and homemade jellies, and a ricotta cheese made in front of our eyes. 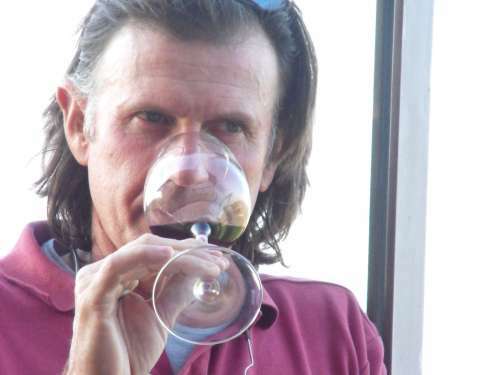 We also enjoyed fresh lamb and wine from his neighbor. The sun has set on these two trips. 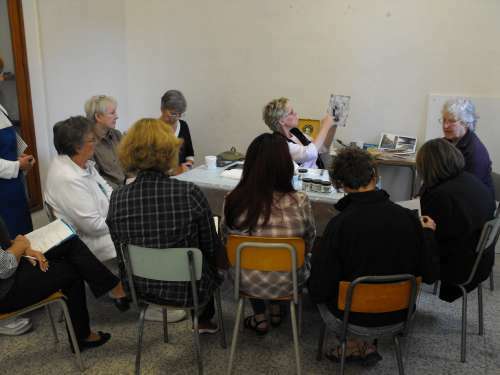 Kristi and I are filled with fond memories of the gifted and warm people who joined us for this week. Some are home, some still traveling, but all are in our hearts. Thank you all!! It is hard to say which of the two larger UNESCO World Heritage churches I like most. Both are wonderful. 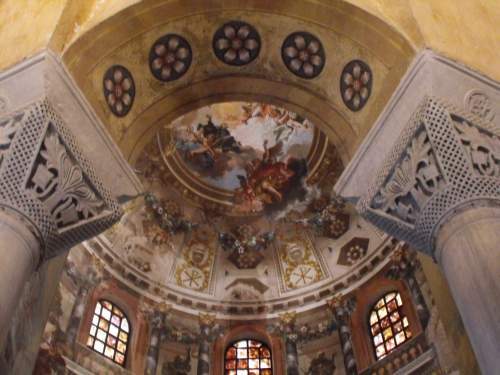 I love Basilica di San Vitale for the wonderful spaces created by the Octagonal building and the columns and arches needed to support it. 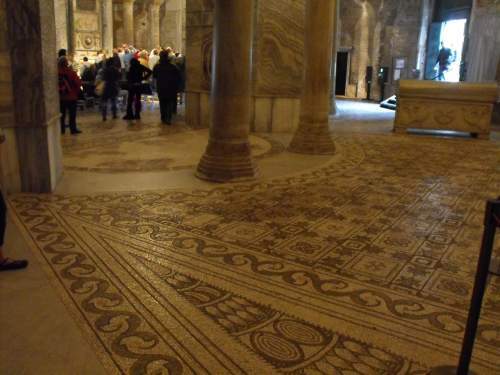 The church has more mosaics then any of the other sites, with floors, ceilings and walls all containing them. Basilica San Apolliinare in Classe feels completely different. It is much more open and the light inside is soft and beautiful. 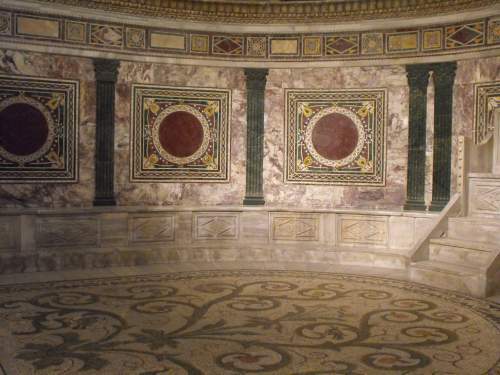 There are many fewer mosaics, with only two bits of the floor mosaics still intact. 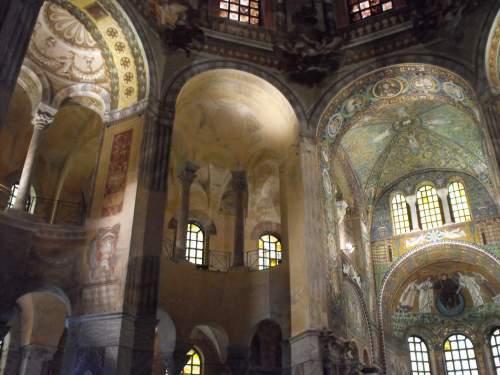 But those around the apse are stunning and the light creates a peaceful space that you simply want to linger in. 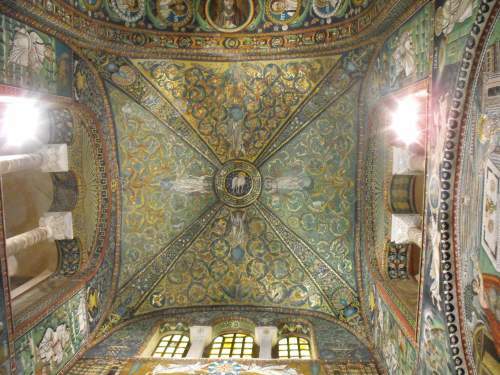 Of Ravenna’s 8 UNESCO World Heritage sites 7 are of buildings with mosaics. 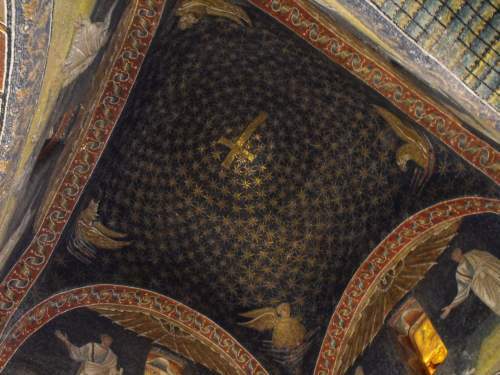 Generally, the more intimate of these buildings left their greatest impression on me: the two baptisteries, and the mausoleum of Galla Placidia. 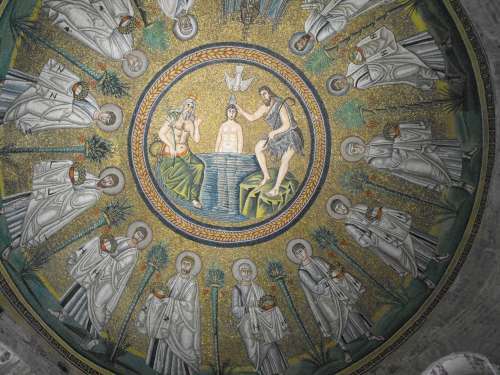 Being up close to the mosaics rather than seeing them from a great distance enables you to appreciate them so much more. While these smaller buildings are more intimate, it is very difficult to capture with a camera the beauty and workmanship of the mosaics. 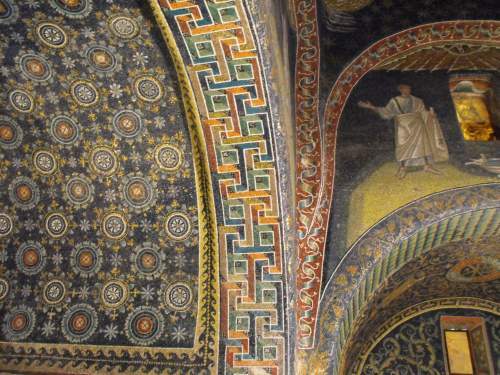 Ravenna, where we are taking a break from our spring trips, is many things. 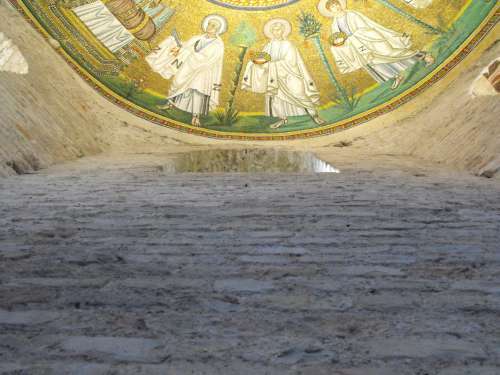 It is particularly known for the mosaics and its 8 UNESCO World Heritage sites. 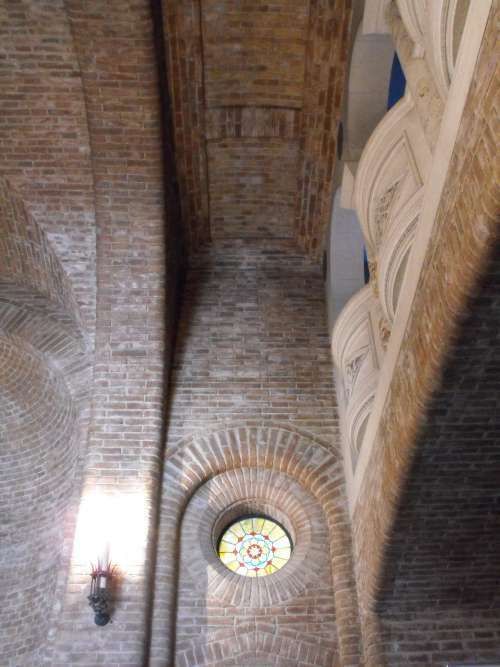 The mosaics are beautiful, but the surprise for me ha been the beautiful brick architecture. 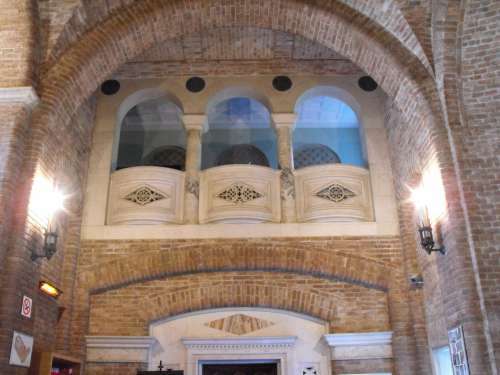 The city has all kinds of architecture, lots of stucco, painted stucco, stone. 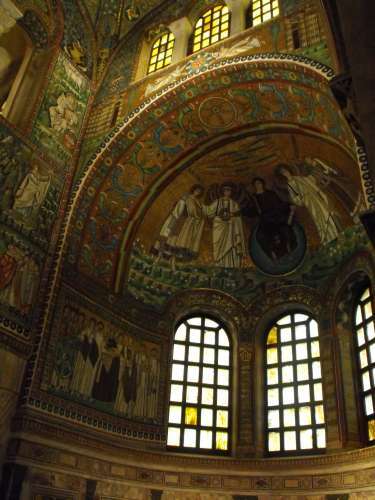 But the beauty of some of the brick and the craftsmanship of it, is nearly as impressive as the mosaics. 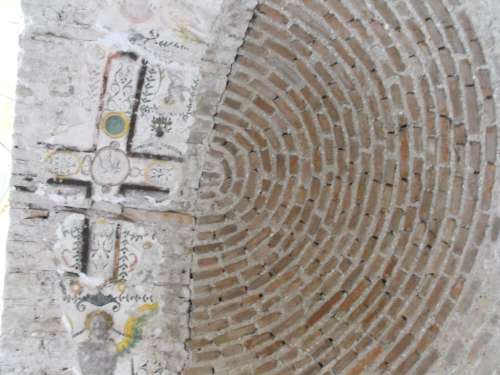 The mosaics exist on buildings made of brick, constructed in the 400 – 600 A.D. period. The building who’s brick has struck me the most is the Palazzo della Provincia. Complementing the brick is the physically contained environment that lends an intimacy to the building. 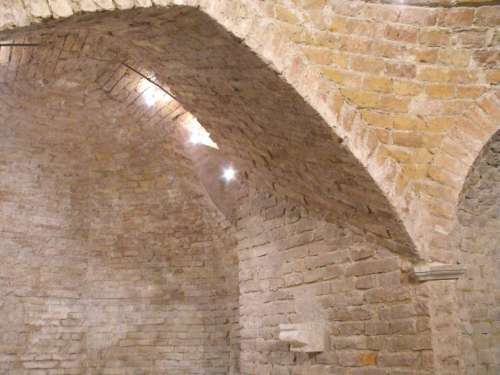 The space in the basement of its round building is simply incredible in terms of how the openings were made. The contemplative gardens around the palace also add to the ambiance. 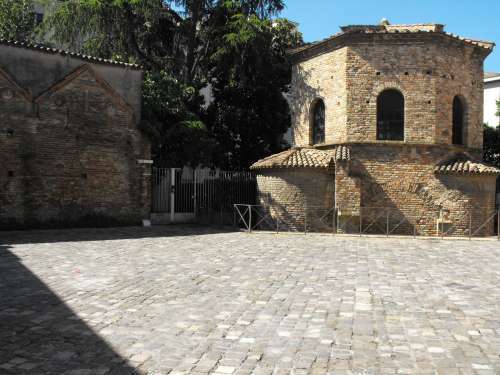 And the piazza in which it sits, San Francesco is beautifully proportioned. 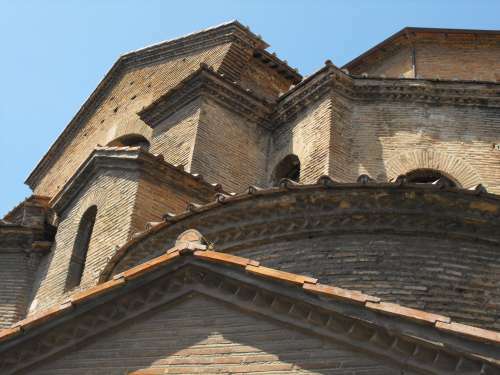 Basilica San Vitale also has impressive brickwork. The flying buttresses really fly and the details are wonderful. Many of the bricks used in construction are about 2 inches tall and 20 inches long. They are called grulianeri. Pictures speak better than words.